When you maintain your garage door properly, efficient and smooth operation can be guaranteed. However, if the garage door fails to open or close it is always safe to get professional help. While the frequency of a thorough inspection is based on the weather condition, there are certain steps you can follow to increase the door's life. Garage door tracks need to be lubricated with silicone spray in between regular inspection by an expert. If you live in regions that experience freezing temperatures, using petroleum jelly or other equivalent lubricant on the rubber seal present in the door bottom will prevent the door from fusing to the floor due to freezing temperatures. 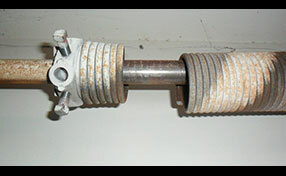 Garage door torsion springs are under great pressure as they are wound very tight. You should not attempt correcting any faults in these springs unless you have prior knowledge on how to deal with them. Loosening plugs or bolts on your own can render the springs unstable, leading to unwanted and dangerous injury to pets and residents. You can see whether all the garage door parts are functioning properly by pulling at the release mechanism in the door. This relieves the automatic control in the door. When you pull up the door and it stays up without falling down or moving up, it indicates that the balance is good. If not, you need to get the help of a professional to correct the balance. If it is difficult to lift the door, it indicates a fault in your springs. Torsion springs should be repaired or replaced only by experts, as it is highly dangerous and even fatal to attempt correcting them on your own. 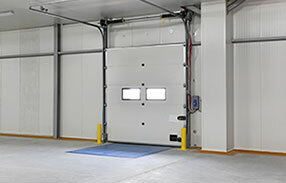 While minor faults in garage doors can be repaired immediately, some problems need to be handled only by an efficient garage door repair professional.